Featured Designs There are 16 products. 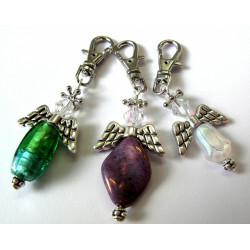 Angel bag clip kit. 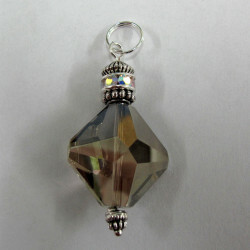 Makes three pretty little bag clips. Comes with simple instructions. Please note the style of clip has recently changed as is more like a large lobster catch than the clip in picture. 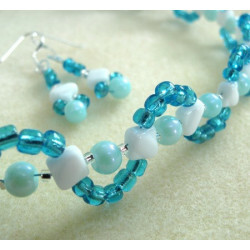 A kit to make a choker and earrings using seed beads and Silky beads. 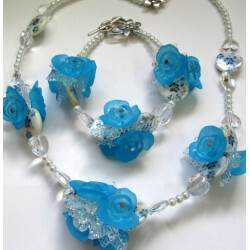 K514 - Blue floral and shell necklace and bracelet kit. This is a pretty summery kit that requires only the knowledge of loop makin and using crimps, other than that is is very simple threading. 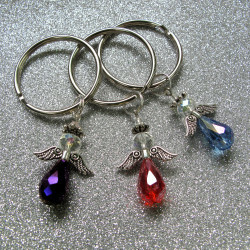 HM002 - Pack of 3 Guardian Angel Key rings. 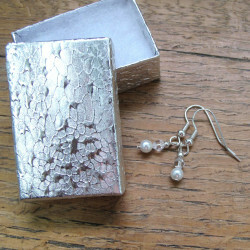 These are pretty and sparkly. 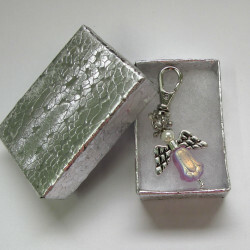 Overall size approx 7cm. 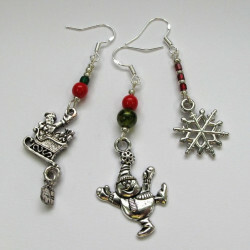 HM003 - Pack of 3 pairs of Christmas earrings. These come on carded packs in smart cellophane bags. 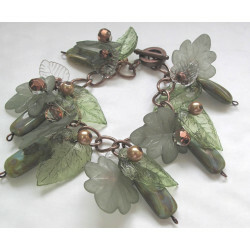 "Vintage Green" bracelet kit with lucite leaves. 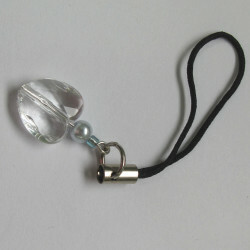 On a copper colour bracelet base with a toggle clasp. Requires cutters and pliers to make this ( not included). Bracelet bar kit with magnesite. 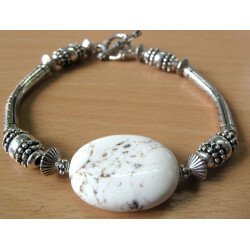 Bracelet bar kit with magnesite. A chunky yet elegant bracelet that is easy to make.